London- The European Union has decided to set duties on hot-rolled steel from four countries, including Iran and Russia, as Germany invited ministers and senior officials from leading steel producing states to a meeting in Berlin on Nov. 30 to discuss overcapacity in the sector. The EU set on Friday the duties on steel from Brazil, Iran, Russia and Ukraine after a complaint by manufacturers in the union that the product used for construction and machinery was being sold at excessively low prices. The EU will levy anti-dumping tariffs of between 17.6 and 96.5 euros ($20.6-112.8) per ton from Saturday, its official journal said. The European Commission had initially proposed setting a minimum price – of 472.27 euros per ton – but revised its proposal after failing to secure backing from EU member states. In a related development, sources said that officials from countries belonging to the Organization for Economic Cooperation and Development (OECD) are expected to join the Nov. 30 meeting in Berlin. G20 leaders agreed in the last summit they held in Hamburg in July to postpone discussions on a solution to the international differences over the steel market. “We want to discuss together how we can prevent overcapacity on the global market and guarantee fair competition,” Matthias Machnig, state secretary in the German Economy Ministry, told business magazine WirtschaftsWoche. “Our goal is to avoid new punitive tariffs for our businesses,” Machnig said. 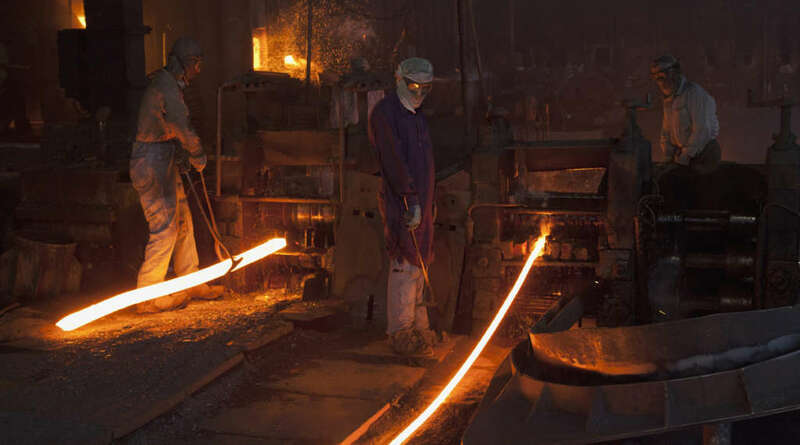 Reports have said that US President Donald Trump is still determined to impose tariffs on steel imports despite repeated delays on a decision.